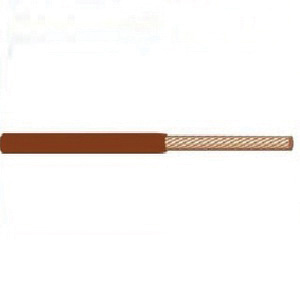 18-AWG Machine tool wire in brown color, has 0.0312-Inch thick PVC insulation. The bare copper wire has voltage rating of 600-Volts. It withstands a temperature of 90 deg C. The wire comes in a 500-ft long spool.